The pace is quickening for the forthcoming flower festival at St James Church over the bank holiday week end (from Friday August 24th to Tuesday August 28th). Four very successful fund raising events hosted by Rachel and Arthur Cunynghame, Sarah and Peter Taylor, Philip and Mary Smith, and two events by Margaret and Geoffrey Smith have succeeded in raising well over £3,000 for flower festival funds. The theme of Old Testament tales will blossom into life in scenes created by distinguished designer Jenny Bennett, and imaginatively interpreted by flower club teams from Chipping Campden and surrounding areas. A summer market, organized by Jane Bartlett will be an attractive additional feature of the festival and on Saturday, Sunday and Monday will set up its stalls in the front garden of Margaret and Geoffrey Smith's home directly opposite the church. The market will offer bric-a-brac, books, plants and preserves; and that's not all. Delicious teas and light lunches under the direction of Jecca Brook will be available in the Church Rooms. Festival co-ordinator David Hallett is hopeful that the festival will attract record numbers. He says "We are hoping that Campden residents and visitors will come and see the really wonderful floral displays, and if anyone has guests over the bank holiday weekend that they will bring them to admire both one of the area's loveliest churches and the biblical stories told in flowers". 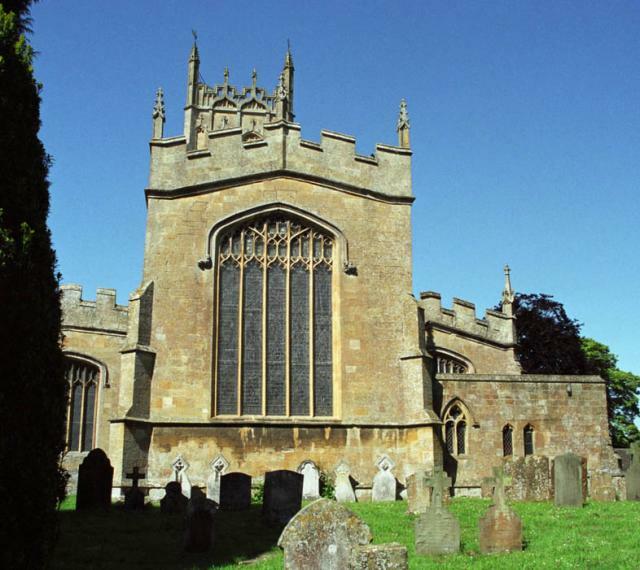 Little Gidding B&B is located in Ebrington and is minutes away from Chipping Campden. We would be happy to book you for a stay during the festival. Submitted by Another successful Campden flower festival &raquo; Cotswold on Wed, 17/10/2007 - 14:48. Submitted by Karl Salesse (Mr) on Sun, 26/08/2007 - 13:47. My neighbour, Mrs Joan Cow, has just returned from her day visit to the flower festival at st James Church and is full of praises for the outstanding flower arrangements she had the pleasure of admiring. Unfortunately she did not have her camera with her. Much as she tried to explain to me, it's difficult to visualise this magnificient show. Is there any chance of posting some photos of the various themes on your website in the near future?